ACS Martial Arts runs classes for children aged 7-14 years. Our classes are all inclusive and are mixed girls and boys. Adult classes ages start from 15+, although more adept and skilled younger children may join earlier. All classes are mixed male and female. Not watered down martial arts. Includes important information on UK law governing reasonable force and self-defence. "there is no growth in comfort"
These are the 3 core principles in our teaching. It’s not about how fast you can earn your belt or how good you are with your hands and feet it's not even about how often you train it’s about how you apply yourself in training. It's about learning, understanding, experiencing and stepping out of your comfort zone. Come and learn why martial arts is seldom self-defence and how life skills based on awareness, confidence and self-esteem make you less of a target for unprovoked violence. 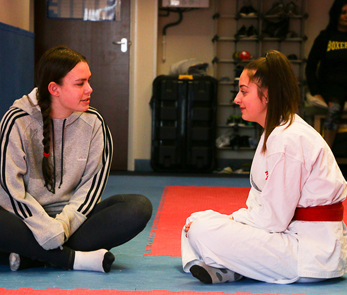 ACS Martial Arts, is one of the ACS physical activity services run by ACS MAGFA. 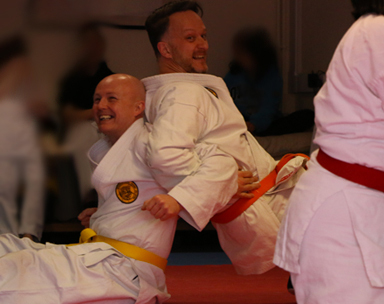 ACS Martial Arts offers jujitsu martial arts classes including elements from Geoff Thompson's Real Combat system and self defence tuition regarding the use of reasonable force and edged weapons awareness. 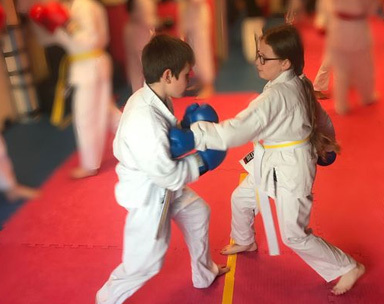 Based in Luton, Bedfordshire, ACS Martial Arts has been offering quiality martial arts tuition for over 10 years from a selection of leisure and community centres, schools and from our own ACS MAGFA venues, first at Taylor St and now 35 Charles St Luton. It’s not about how fast you can earn your belt or how good you are with your hands and feet it's not even about how often you train - but how you train. It's about learning, understanding, experiencing and stepping out of your comfort zone. In fact, belt grades are so low on our list of priorities that we seldom talk about them - why? Well, train with us and you’ll learn the answer. Come and learn why martial arts isn’t self-defence and how life skills based on awareness, confidence and self-esteem make you less of a target for unprovoked violence.